Pugs have so much to say, and they communicate primarily by barking! Pugs will bark when they want treats, pugs bark when they want to go out, pugs bark when there is a car in the driveway! Unfortunately too much pugs barking can be annoying and when your pug barks at inappropriate times it can be a big problem. We all want to be respectful of our neighbors and sometimes people are simply just trying to get some sleep! So what can you do to get all this pug barking under control? All pugs come with two eyes, two ears, a little squish nose and a curly little tail. you have a Pug, you most likely are wondering about the different types of ears that this breed can have..And how to keep them clean and healthy to avoid infection and other health issues. In addition, you may have heard about the method of taping a Pug's ears and wonder if this is necessary...and if you wish to do it, just how it should be done. Pug Shedding Problems? Does my pug shed too much? Why does my pug have so much hair? Why the bleep am I always covered in Pug hair? And how can I stop my pug from shedding to dang much?!?! This article covers the bane of the pug owner: Pug Shedding! All pugs shed, but there are ways to manage your pugs shedding so that it does not take over your life and your pug's hair isnt covering all you clothing and furniture! 10 Best Pug Gifts and Presents 2017! A short list of our favorite pug books for 2017. Momo is an avid reader and of course her favorite subject to read about is Pugs Pugs Pugs! So whether your a new pug owner who needs training, or your prepping for your summer reading list or just trying to find some casual reading there is a pug book here for everyone! Including Pug Picture Books, Pug Story Books, and easy do it yourself Pug Training Manuals! There is even a funny pug joke book in here! Momo has been doing a lot of online pug research and finally narrowed down her favorite pug websites from across the world wide web! It's official, there's a list and here are her 10 favorites. Of course, Pug City is your #1 resource for pug jokes online but these other Pug websites will keep you entertained and informed for hours! All good training starts with teaching your pug their name! Whether it's Scruffles, Ruffles, or Momo, a good name is key to a long, healthy, and happy relationship with your pug. Teaching your pug his name might even save your pugs life one day if he gets off leash and is darting for a busy road! How to get free pug puppies!?!? That seems to be the question on everybody's mind. And yes, it's definitely a SCAM SCAM SCAM! 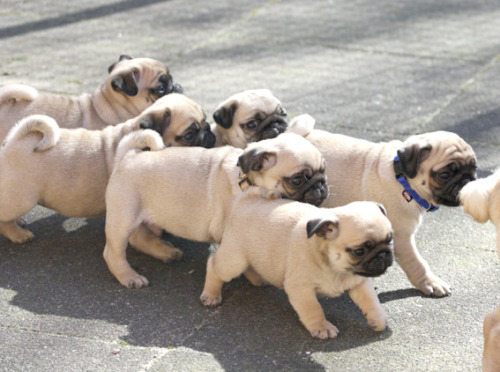 Nothing is cuter then a little puglet, yes many cant afford the large price tag that most breeders are asking. A cute little pug can cost anywhere between $300 to $3,000 which is more then most people pay for rent. So recently we have seen a ton of advertisements boasting "free pug puppies". I'm here to tell you, sadly, that they are all scams. A Short Article About Pug Names and the Etymology of the Pug Breed. 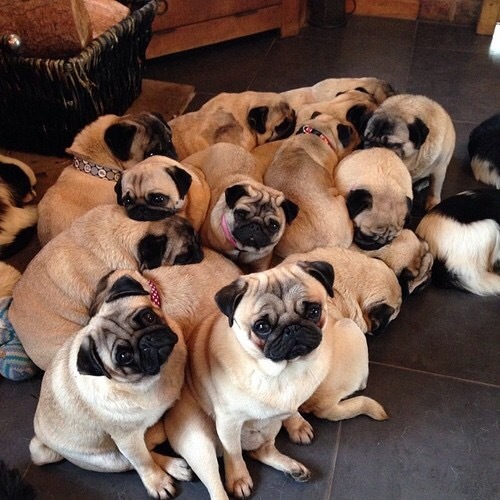 We here at Pug City get many pug questions, like: What was the pug bred for? How big are pugs? When did Pugs Originate? Whats a pugs original purpose? Why do Pugs have so many wrinkles. But our most frequently asked question is "Where did the Pug get its name?" The pug breed may have originated as early as 600 B.C.E but we don't really know because the crazy Emporer Chin Shih destroyed all recorded pug artifacts, and records during his reign in 255 B.C.E. The in 168 A.D the awesome Emporer Ling To took power and raised Pugs to a new level of royalty. 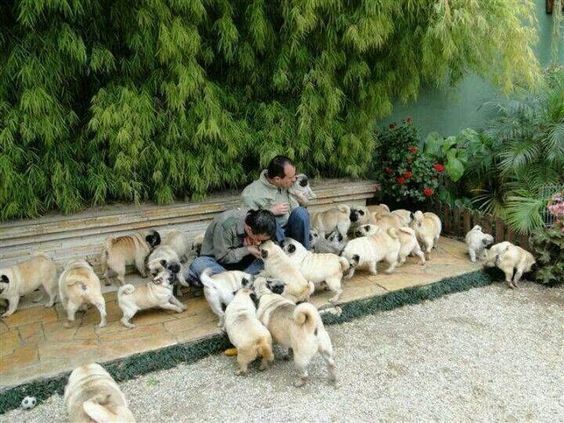 Ling To loved his Pugs as much as his wives, serving them only the best food and having soldiers guard them around the clock. The etymology of the word Pug is also interesting. The word pug first appeared in written English language in 1566. The word Pug origin was a term of endearment, kind of like "little cutie", and was used when talking about people. By the 1600's the word became synonymous with a courtesan and by 1664 the word Pug meant imp, sprite, demon, or monkey! Only in the 1750's did the Oxford English Dictionary recognize the word pug as meaning a "dwarf breed of dog". It's possible that the origin of the word Pug comes from the Latin Pugnus, meaning a balled up fist. Some say the wrinkles in a fawn Pugs head might look like a fist. It's also possible that the origin of the name Pug is a mistaken spelling of the name Puck, the mischievous Sprite like character in William Shakespeare A Midsummer Night's Dream. Pugs were brought to Europe by the Dutch East India trading company in 1500's. The Dutch called these little cuties "Mopshound" which meant "to grumble". The name Mops is still used in German and Russian today. The name pug in some other languages Carlin (French), Patimasia (Greek), Doguillo (Spanish). Whatever you want to call these cute little monkeys, it's pretty clear that there is only one PUG! Really its the saddest pug podcast around. PugCast? Yes. 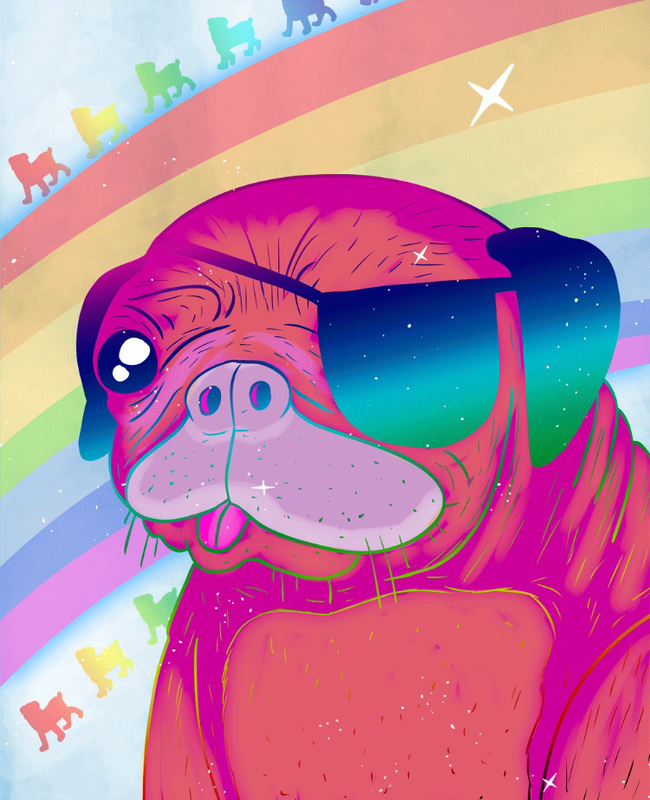 The podcast is titled Rainbow Pugs and is by ReplyAll. They have really interesting shows about tech and real life. 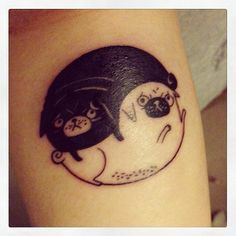 This one just happens to be about pug! Warning, it made us cry a little. 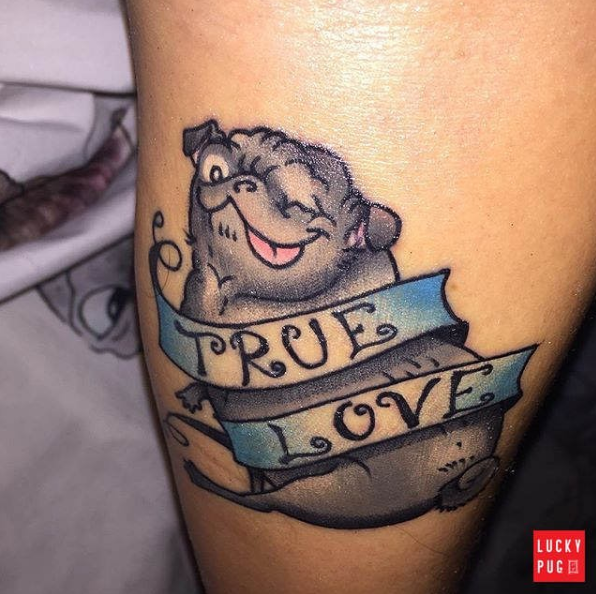 If you love pugs and you want to know more about them, then you've come to the right place! These squishy faced dogs are actually pretty amazing when you look at the facts! 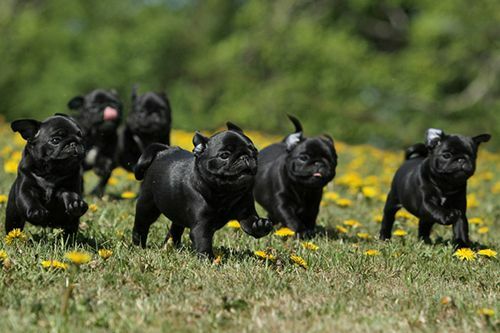 So we have compiled a bunch of info on pugs including pug puppy facts, facts about pug behavior, and pug health facts. If you want to know the truth about pugs, you've come to the right place! In the 18th century the most popular pug in Italy was Trump! 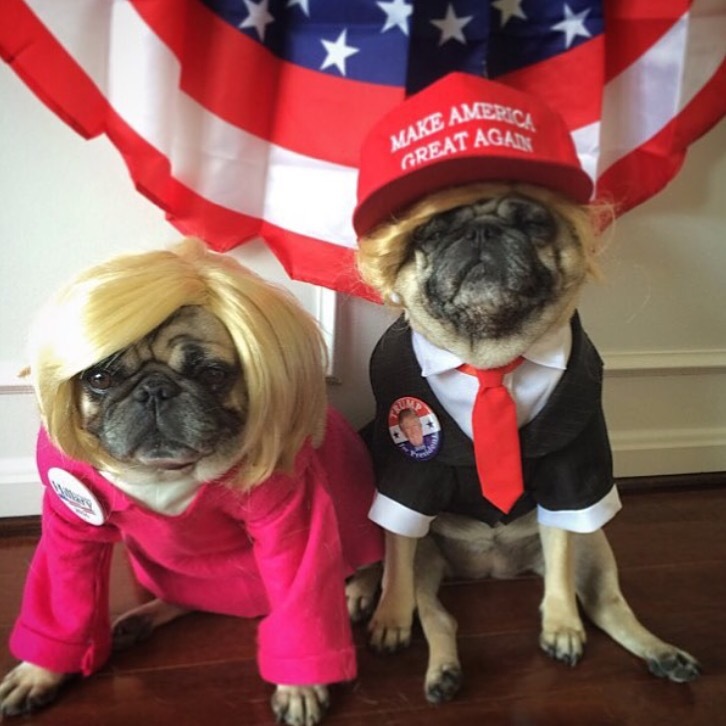 Thats right, Trump the pug. The English painter William Hogarth was the devoted owner of a series of Pugs. His 1745 self-portrait, which is now in London's Tate Gallery, includes his Pug, Trump. Perhaps "the Donald" was named after this fuzzy guy?